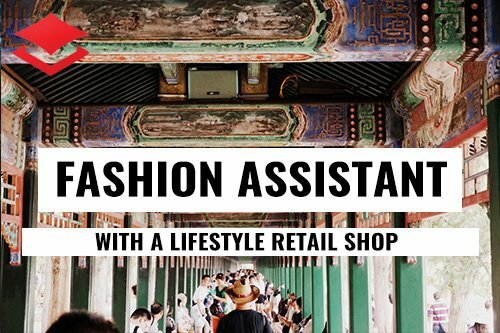 5 reasons why you should complete a fashion internship abroad. The first tip we give to anyone looking for an internship is… do your research! By this we mean thoroughly research the internship company, read their reviews, try to find some testimonials and make sure, not to skim over the small print. Contact information and personal details should be clearly displayed. Don’t forget to include your qualifications and work experience. Sell yourself! If you read your CV and get bored, imagine how an employer will feel? Keep it fast paced and make sure to showcase your best qualities. If photos of your work are relevant to the job in hand, include them in the document. If you have a portfolio of work including photos and videos, it may be a good idea to showcase them on a blog and include the link on your CV. Use exciting and engaging language to describe your creative history. Stay away from the ‘creative’ fonts! Arial or Calibri are good options for a CV. Simplicity is key. Your writing and enthusiasm should be the star of the show, so stick to a simple layout and avoid anything confusing or unprofessional. If you’d like more writing advice and the perfect internship CV example, take a look at our ‘How to write a CV for an internship’ guide. We understand the importance of a simple application process so that all our opportunities are accessible to as many people as possible. Send us a quick message to let us know your preferred destination, the industry you’d like to work in, what accommodation you’re looking for and when you’d be able to start the program. We’ll get back to you promptly to discuss your funding options and provide some fantastic internships for you to choose from. You may have a Skype interview with the company. You will (hopefully) secure your internship deal and sign our booking form to secure your place on the program. Our team of experts will guide you through the departure process and prepare you with everything you need. We meet you at the destination and your adventure begins! Does this sound like something you’d be interested in? Apply today to get some more information about our fashion internships and see if you are eligible. Once you’ve applied, you may have a short anxious wait ahead of you before you get any feedback. Depending where you’re applying to and what kind of programme it is, you may or may not need to have an interview. If you apply for a fashion internship roles, you may have a Skype interview with the company who will hire you. These interviews can be nerve wracking, which is why we want to give you our expert tips for landing this position. DO be on time. A set time will be arranged for the interview, so make sure to start up your device and log into Skype at least 15 minutes before, so you aren’t late. You don’t want to make a bad impression before the interview has already started! DON’T dress inappropriately. If you’re taking part in a video call, make sure to dress professionally (at least for the top half that the interviewer will be able to see!) This is also a good opportunity to show off your sense of style. DO have some inspiration prepared. Especially in this industry the interviewer may ask you which style icons or brands you are inspired by, so don’t be put on the spot by not having an answer prepared. DON’T fail to prepare. Write notes, do research and you could even try a practice interview with a friend. You don’t want to read off a script when answering the questions, but you do want to have a general idea in mind just in case the pressure or nerves tries to get the better of you. DO show your enthusiasm for fashion. You may think the industry is full of cool fashionistas that rarely crack a smile, but this simply isn’t true! Enthusiasm, passion, good manners and a big smile go a long way. DON’T try to be someone you’re not. If you have a passion for fashion and have your own sense of style, stick to it and showcase your individuality. It may become transparent if you’re trying to be someone you’re not, so we always recommend being yourself in interviews. If you’re applying for a fashion internship and haven’t been able to get relevant experience, this is out of your control, so try not to dwell on it. Focus on what you do have control over, such as the application process, your CV, cover letter and the interview. You may be up against candidates that do have some fashion experience, but this doesn’t mean that they’re bound to get the job. It will involve a little extra work on your part, but I know that you’ve got the motivation to do that. Don’t be put off ­– Experience is not essential, so don’t let a lack of it put you off applying for this opportunity. Never stop learning – Fashion knowledge is readily accessible in todays online world, so keep up to date with the latest news and trends. This will also make you feel much more confident in your CV writing and interview. Be your own experience – If you’re struggling to find work experience in this industry, hire yourself. Start a blog, ask your friends to take some fashion photos of your outfits, start writing about the latest trends or start your own YouTube channel. Research for experience – If starting a blog or YouTube channel isn’t the best option for you, research what online experience is available. Take a look at online courses, classes or qualifications you could gain. Fully utilise your skill set – Although you might not have relevant experience in this industry, you may still have relevant experience in another industry that has given you admirable skills. Organisation, time management and good communication skills are all attractive qualities for jobs in the fashion industry. Now you’ve got all the tips for starting your dream career, you need to start thinking about whereabouts you’d like to work. The possibilities are endless in fashion, and there are hundreds of cities across the world to choose from. 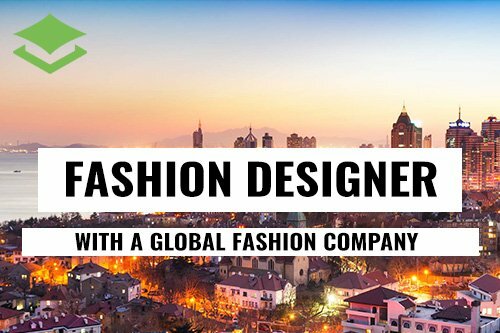 Completing a fashion internship abroad is one of the most exciting opportunities that you can take advantage of. 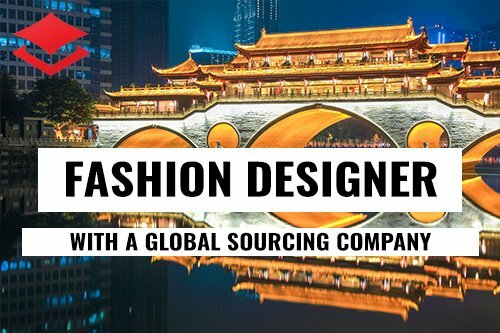 Not only will you thrive in the fast-paced world of fashion, but you will also be fully immersed in a new and fascinating culture. Get to know new people and make lifelong friends from around the world. There will be plenty of other interns for you to socialise with that are experiencing this exciting opportunity alongside you. This is the perfect way to build meaningful friendships that make the trip all the more special. Learn about a fascinating culture and history first hand. Reading about it in a textbook is worlds apart from witnessing a new culture with your own eyes. Learn about a new way of life, try the delicious local cuisine and take part in traditional practices. Build your global network and gain new business connections. When else are you going to get the opportunity to build business connections on the other side of the world? Gain the confidence you need to succeed in your future career. Completing your program in a different country may seem intimidating, but it will give you the confidence you need to excel in your chosen career. Make your CV stand out from the competition. When applying for a job, how are you going to stand out from applicants who all have the same relevant experience? We have the answer, completing your internship abroad. This shows you have initiative and an impressive can-do attitude. If you’re interested in finding out more about the exciting opportunities you could get involved in, get in touch today and we can discuss the best options for you. PreviousQ&A: What is an Internship? What does it mean for you?